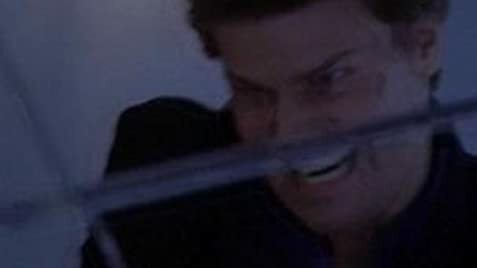 Angel fights to stop Darla and Drusilla as they embark on a murderous rampage across the city. Q: Why does Angel have different names? Q: Do all Joss Whedon creations take place in the same reality? Angel is the best show ever!!! When the show premiered back in 1999 fans were introduced to a show that was dark, edgy, intelligent, and just plain awesome in all the ways that a television show should be. Angel was not just an hour of entertainment, it was something that made your life better when you watched it. And in the course of half a decade the show presented brilliant characters, extraordinary stories, amazing dialogue, and last but not least, possibly the best show ever to hit television. It was for all these reasons that its loss left many fans heartbroken. But if there was one thing that Angel made perfectly clear it is that the fight never ends. The story of the tortured vampire with a soul, Angel, unfortunately did not meet its end, since the evil WB took it off the air. So the rest of the life, or unlife, as I should say, of the infamous vampire with the soul was left up to the fans to finish the story of Angel in any way that they liked.